When you've found your purpose, life is ignited with passion and meaning. You're positive that you're finally leading the life you were born to lead. This quest can be frustrating, though, if you're disabled. It can make you feel defeated and directionless. Don't give up. 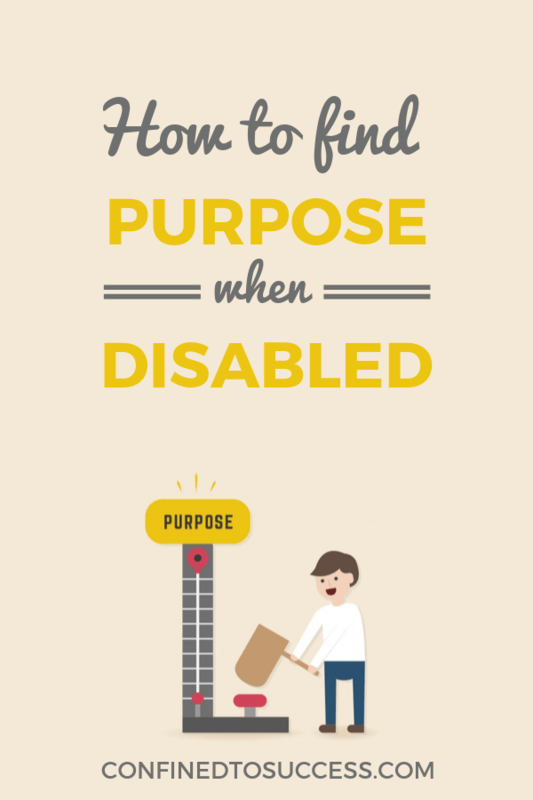 Here are tips about finding purpose when disabled. 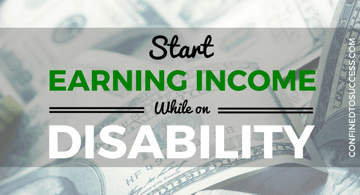 If you've toiled to establish yourself in a career, a disability may prevent you from working at that job. Along with death, incarceration, and divorce, unemployment is one of life's 10 most devastating experiences (source). Losing a job, especially one that's your "dream career," may significantly affect your sense of purpose and direction. For example, a dentist whose hands become impaired will no longer be able to practice. When you're disabled, your role in society and the way you perceive yourself may take a hit. You could see yourself as unattractive or unlovable. Diminished autonomy can make you feel as though your life direction and sense of purpose have been dramatically detoured. Boredom can arise when you have a lot of time on your hands and few human interactions. Maybe you're home all day until a spouse returns from work. Perhaps you're in an assisted living community whose activities don't mesh with your interests. 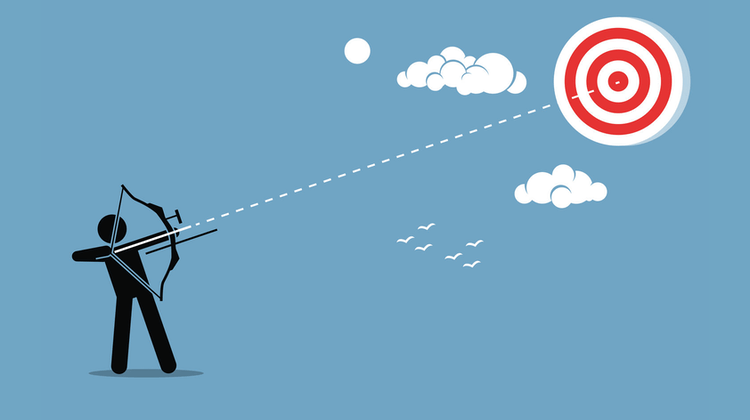 Boredom often breeds minimal motivation to make changes. It also increases the likelihood of depression. Boredom and depression don't leave much room for belief that you have a purpose. After a serious injury, quality of life may diminish, especially if it hinders your ability to perform simple daily activities. Relearning how to button your shirt, or being unable to relearn how to do it at all, completely changes your life. A disability can destroy hope about the future. If you now see the days ahead as barren and meaningless, then planning for them is pointless. There can't be any purpose to a future in which you feel eliminated from the equation. When you join a support group, you'll be among people who have similar issues. They can relate to you without judgment and help you through your struggles. Participating in a support group is also a great way to combat loneliness and isolation and regain a sense of purpose. It will also help ease you back into socializing. Volunteering is an excellent way to be productive, make a difference and regain a sense of purpose. 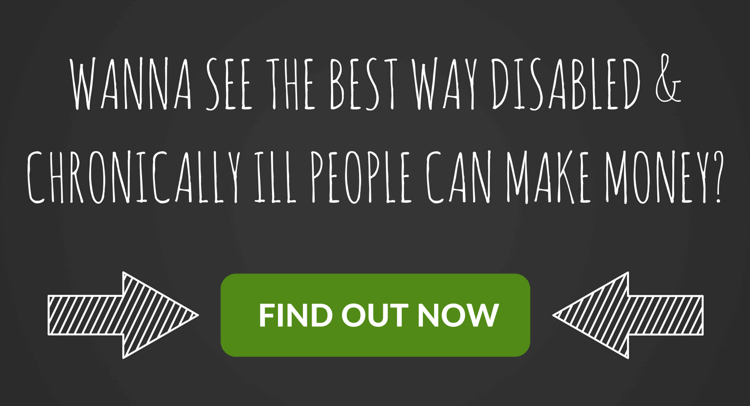 You can do it even if you're disabled or unable to work. Volunteers are always in demand, and the demand is limitless. Find a cause you feel strongly about and ask how you can get involved. Or pick something that you don't know much about but sounds interesting. Some types of volunteering can even be done from home, such as fostering puppies or doing online work for a charity. Yes! You! There are many adaptive exercises, including Tai Chi (source), seated cardio, resistance bands, strength training and flexibility exercises, which you can do even if you're disabled. Check out your local gym and see if there's a personal trainer who works with disabled people. Not only will you get your body moving, but the shot of endorphins will boost your mood. Find something that spiritually nourishes you. It could be something religious, but it doesn't have to be. It's anything that deeply stirs your soul, like a sunset, a home run, a perfectly cooked steak or the sound of a cat purring. Just connect with whatever makes your heart sing. Doing this can also give you gratitude, which is uplifting. A vision board is a collage of images that express your dreams, desires, and anything that lights you up (source). Just get a piece of poster board, some magazines, and start cutting and pasting. If you want to teach elementary school, for example, you might fill your vision board with images of schoolhouses, apples, rulers, chalkboards, desks, and textbooks. You can intersperse these pictures with images of things you love, like birds, ice cream or race cars. A vision board is a powerful manifestation tool. Place it where you can see it every day. Learn more about how to create your vision board here. Get some plants and feed and water them on specific days, at specific times. They're alive. They need you. Create a schedule of exactly when you'll get up, eat breakfast, eat lunch, eat dinner and go to bed. No cheating. Do the same for whatever amount of housecleaning your condition will allow. When you need to tend to a living thing, stick to a schedule and regularly clean, you've structured the basics for having purpose in your day. If you can get out of the house, head for a coffee shop. 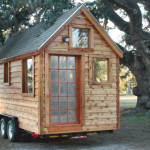 When you hang out at one with a book or laptop, you're in a fresh environment. It will also help you get out of your head and engage in casual conversations. Keep things fresh by visiting different coffee shops, if you can. When you're more in the stream of life, you'll think more in terms of possibilities. A disability is nothing you remotely expected or planned for. You may feel frightened, deserted and lost. It's likely that you obsess over the person you were before you became disabled and the person you are now. This darkness can be hard to break out of on your own. A good therapist or coach will help you deal with this life transition and enable you regain your sense of self and purpose. Reading can, indeed, transport you. Mix breezy paperbacks with long, challenging tomes like Anna Karenina and War and Peace. There are limitless worlds to draw inspiration from in biographies, poetry, science fiction, thrillers, romances, non-fiction, and classics. 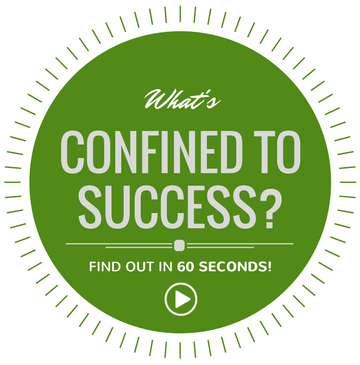 The goal is not only entertainment and enrichment, but helping you feel enlivened and inspired. Journaling is a method of privately writing down your thoughts and feelings so that you can better understand them. It helps establish order within chaos. When you're disabled, journaling gives you a healthy outlet for fear, anxiety, and purposelessness. Write freely. Don't overthink or worry about grammar or spelling. As you face your traumas in this safe environment, healing can follow. Name anything you're interested in learning and, guaranteed, there will be a YouTube tutorial for it. There are also vast online resources that are just a Google search away, covering everything from bird watching to programming to Reiki to interstellar dust. Many colleges offer online courses (source). Online learning platforms, such as Udemy, have free or inexpensive courses that specifically guide you through seeking and finding purpose (source). Become purpose-driven as you express yourself in a unique way, inspire others and receive supportive, motivational feedback. One of the best things about blogging is that once your blog becomes popular, you can make money from it. Blogging is a form of passive income because you could spend only a few hours a week writing blog posts and keep making money from them long after you've written them. You can also use your blog as a platform for multiple income streams from affiliate marketing, advertising, selling products or offering services. 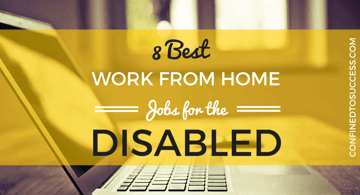 If you're disabled, blogging is ideal because you can work from home and set your own schedule. Blogging is exactly what I do to make money online (Confined To Success is one such example!) and I can show you how to get started making money from your OWN blog! A disability can cause you to re-evaluate everything. You may feel like your life has been drained of all meaning and purpose. Really, though, a purpose is simply anything that adds joy to your life. Try some of the above tips for finding purpose when disabled to shift your life in a happier direction. 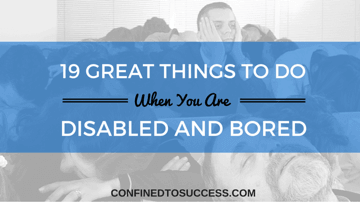 Have you found it hard to find purpose as a disabled or chronically ill individual? How have you dealt with the problem in the past? Leave your comments below!